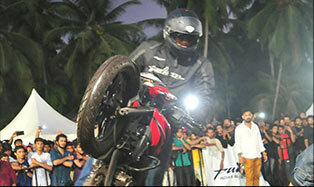 Pulsar Fest, an ultimate event for biking enthusiasts and Pulsar owners. 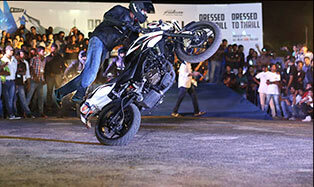 It includes Pulsar Stunt Mania- stunt shows by GhostRyderz, an exclusive display and test drives of all new 2017 Pulsar collection. Also on offer are Free Service camps and Special Finance Offers on the all new Pulsar range. Gear up, Pulsar Fest is coming to your city. Attention Pulsarmaniacs! 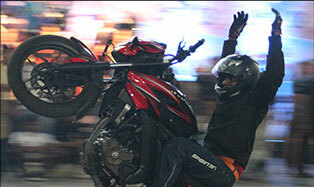 the Pulsar Fest, which is the ultimate stunting roadshow for biking enthusiasts is currently on hiatus. 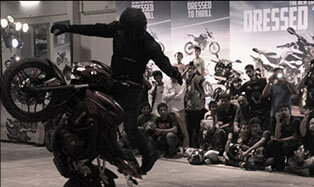 However, we'll soon return with more gravity defying stunt shows with the Ghost Ryderz, free service camps, exclusive test rides and a whole lot more. Stay tuned. 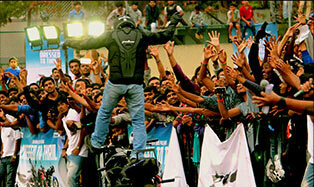 See the Pulsarmaniacs of your city doing what they do best.